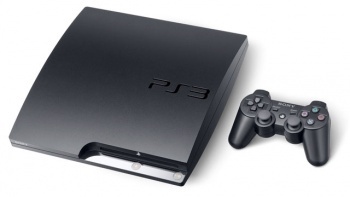 The original PlayStation 3 crack is the only way to go, according to the hackers that created it. The hackers that supposedly broke the PlayStation 3's copy protection for the first time are warning consumers about competitors that won't give them the proper level of customer service. It's rumored that clones of the copy protection negation system are already being sold from unscrupulous vendors, so the original developers want to make sure that people don't buy illegitimate versions of its illegal-ish device. The device, said to be a USB dongle, is promoted as one that will stop software updates that can brick the PlayStation 3 or cause other issues that have happened in the past. It's also meant as a "backup" device, but it unfortunately could also be used for nefarious purposes such as illegal piracy. The hackers warn: "Beware of Imitators and Chinese knockoffs." They say their device is the "original solution" and that consumers should "buy original for warranty and support." If the distributors they are shopping from don't have an "authorized logo" for the unauthorized device, they shouldn't buy it. This is a bit like telling people to make sure their bootleg DVDs come from authorized bootleg DVD retailers. Let's be honest, the USB "jailbreaking" device is going to be used in ways it shouldn't be, so it's almost silly to try to protect consumers from illegitimate versions of it when the original is pretty illegitimate itself. It's pretty ballsy though, and perhaps someone, somewhere, someday will use it for a purpose that might have some semblance of legality.